We can supply and fit a large range of work surfaces. Everything from solid wood to virtually any type of laminate work surface, to high quality granite worktops or even sparkling quartz. 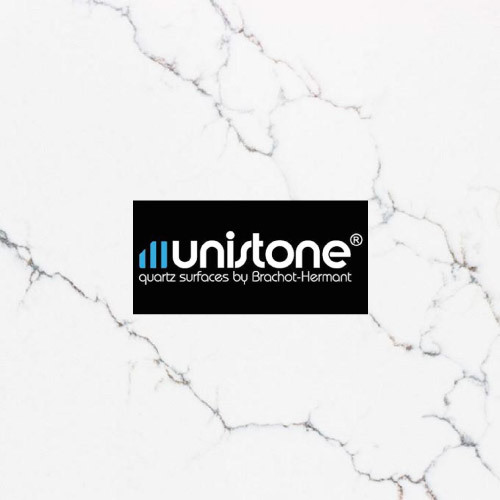 Quartz worktops are the most popular choice in premium and luxury kitchens due to their consistent design and great functionality, while being very easy to maintain. 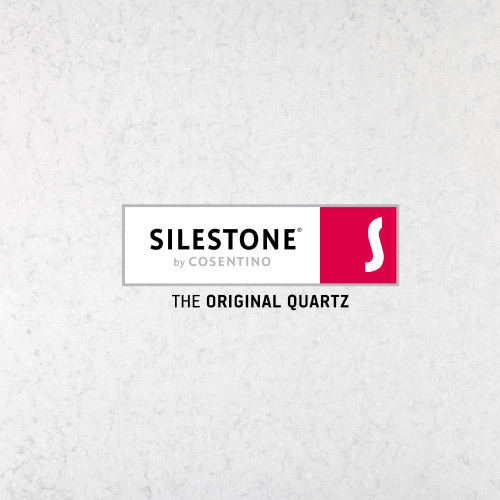 We supply and fit quartz from some of the top manufacturers, including: Silestone, Caesarstone, Unistone and CRL Stone. 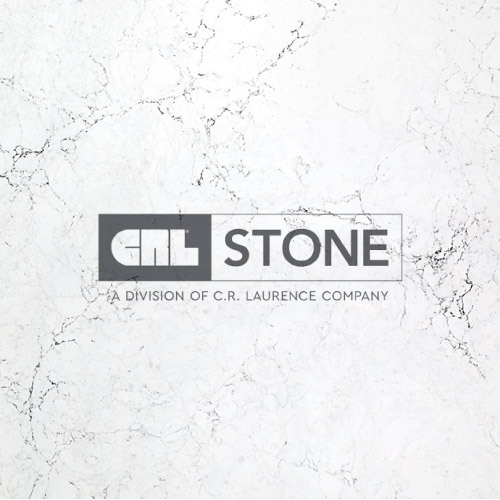 We have access to one of the UK’s largest Quartz and Granite stone suppliers. 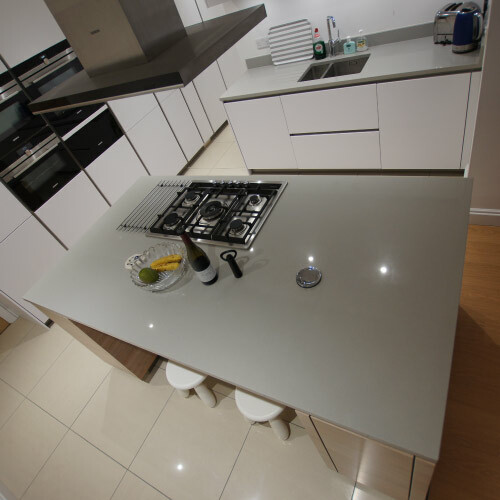 Turnaround for Quartz worktops is as little as 48hrs including laser templating. Get in touch for a quote. 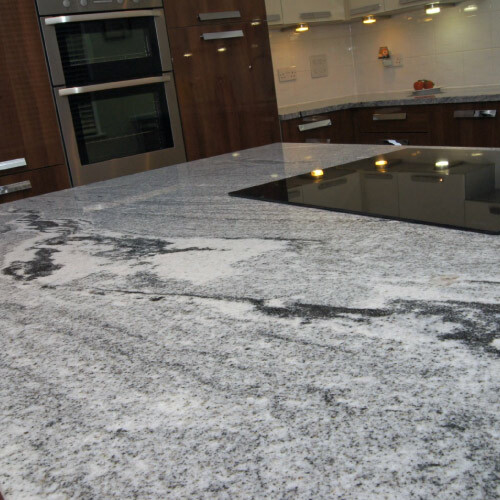 One of the most popular and prestige materials for kitchen worktops; our Granite is available in over 200 colour options and you can pick out the slab used in your kitchen by visiting the warehouse. 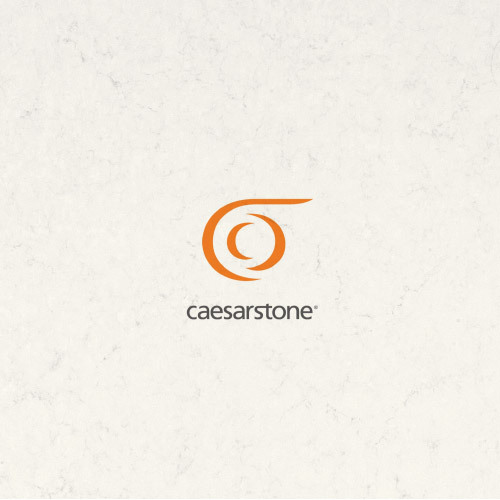 Quartz is our most popular choice for worktops, and it is currently the most popular in use in all new kitchens. There are many trendy designs that go perfectly with your kitchen, whether you are looking for a classic farmhouse look or contemporary modern. 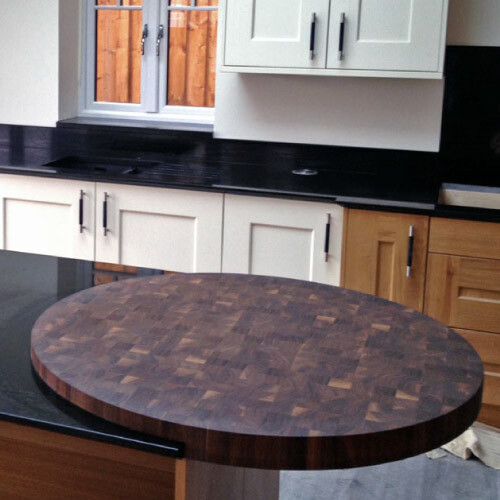 We can supply and install a wide range of quality solid wood worktops to compliment any kitchen, whether it be one of our German kitchens or an existing kitchen you want to refresh.